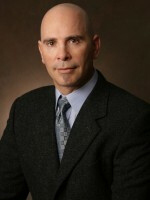 Dr. Douglas Stockel (Dr. D) is a graduate of Cleveland Chiropractic College. He graduated with a BS in Business Finance at USC in 1991. Dr. D has completed a number of post-graduate programs including a diplomate of neurology. He has studied many different techniques in continuing education courses, allowing him to utilize a variety of techniques to aid in his patient’s healing process. Dr. D is a published author, and inventor. He has a passion for life and experiencing different cultures. Being sensitive to his patient’s needs he decided to learn Spanish, so in 2004 he spent a month in Costa Rica to learn medical Spanish in an immersion program. The combination of his interests and education have come together to create unique chiropractic treatment protocols. He is active with his community: A volunteer of The Venice Family Clinic’s integrated Health Program, sits on the Advisory board of Turning Point, a battered women’s shelter in Santa Monica, a member of the Leo Baeck Temples Homeless Task Force, a member of the West Side Shelter and Homeless Coalition and a Board Member of FAME Church’s Santa Monica Redevelopment Corp.
His outside interests include; martial arts, boating, camping, snow skiing, writing, business development and personal growth.